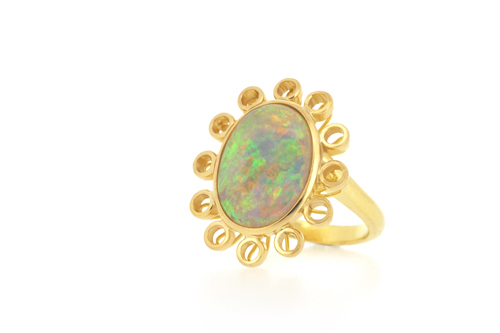 The birthstone of October – Opal – is a less known gemstone that can be found mainly in Australia. Although there are many different types of Opals, they all have one thing in common – the beautiful fiery spectrum of colours that come in a wider range than the rainbow. 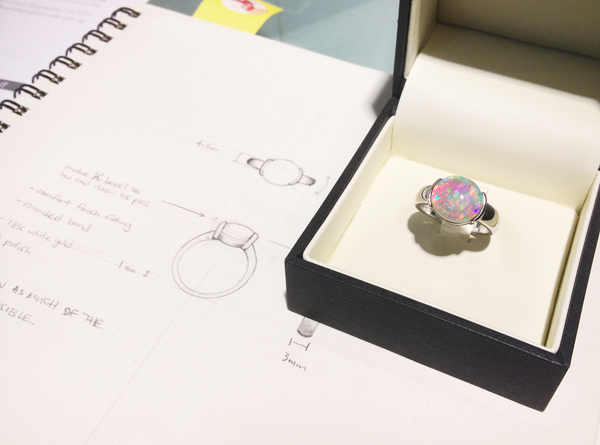 Comparing the sketch and the ready ring – an unusual and stunning option for an Engagement Ring. Trying the size before setting the Opal and surrounding Rubies in this beautiful Yellow Gold Ring. 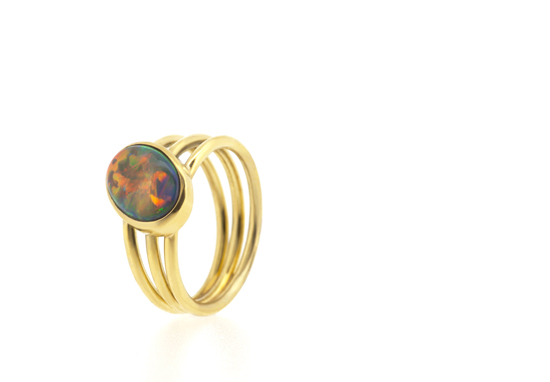 This ring is made up of three bands, and the Opal set slightly off-centre for a playful design to be worn every day. Superb stone rings i would like all design, because these are beautiful spectrum of colours.